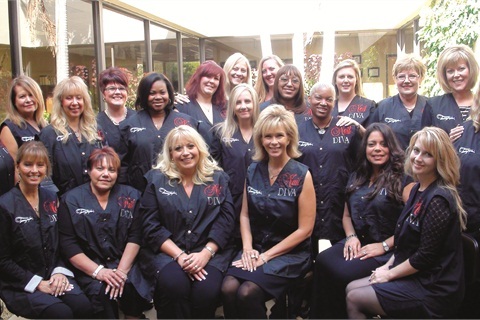 In October, Tammy Taylor and Tammy Taylor Nails director of education Mary Stokus hosted their annual Nail Squad Recertification Training at the company’s corporate headquarters in Santa Ana, Calif. 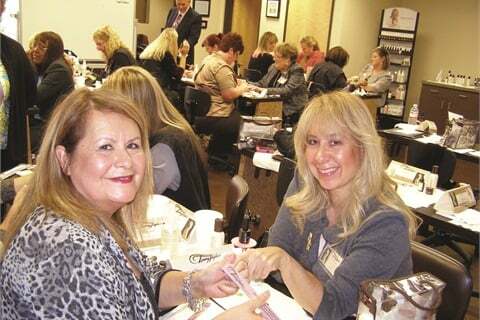 The Nail Squad flew in from all over the U.S. to learn new techniques and procedures. They spent three days training, re-motivating, and inspiring each other. “Being with my Nail Squad girls is a constant nail party; their passion for nails and teaching is so empowering,” says Taylor. “There was over 350 years of experience in one room, so you can only imagine the depth of learning that was going on.” This year, eight Nail Squad educators were recognized for 20 years or more of dedication to Tammy Taylor Nails. The Nail Squad is available for school classes, workshops, and private classes. For more information, contact the education department at (800) 93-TAMMY, ext. 221. Candidates can e-mail their information to Mary Stokus at [email protected].